Not typically thought of when considering major oil exporters, one small country holds significant potential to join the ranks of some of South America’s much larger oil producing powers. Guyana, located along the northern coast of South America, is not an oil producer of any significance. But that could change if the large reserves of oil and gas located offshore are successfully produced. ExxonMobil now thinks that its discovery could hold as much as 700 million barrels of crude. Although it may be too early to tell if ExxonMobil can ultimately recover that much oil, the discovery in the Stabroek Block could be worth as much as $40 billion at current prices. Related: Is This Quietly Becoming The World's Best Place To Drill For Oil? There are other companies that have acreage off the coast of Guyana, which will undoubtedly see the value of their assets rise after ExxonMobil’s discovery. Hess and China’s Cnooc are working with Exxon on the Liza-1 well. Anadarko and Tullow Oil are sitting on some of the largest acreage off the coast of Guyana. And a small Canadian company, CGX Energy, along with Pacific Rubiales, another Canadian operator, have acreage close to the Liza-1 well. All of these companies stand to benefit as their assets are now more attractive following ExxonMobil’s success. For now a lot will depend on what ExxonMobil is able to do with the Liza-1 well. The company is optimistic – it says that it may be able to begin production within five years. 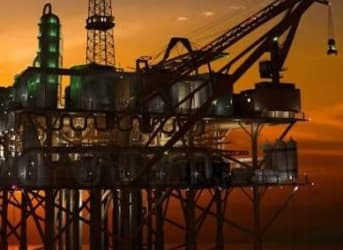 Schlumberger Vs. Halliburton: Which Is The Better Buy Right Now? Can A Carbon Tax Save Canada’s Oil Sands?